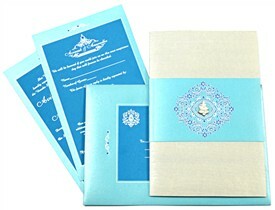 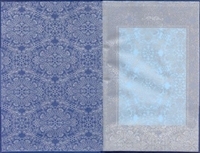 D-4492, Blue Color, Shimmery Finish Paper, Designer Multifaith Invitations, Exclusive Invitations. 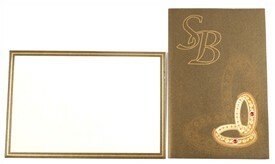 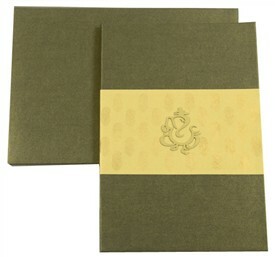 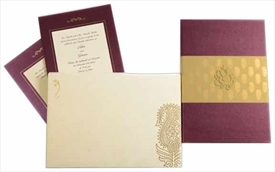 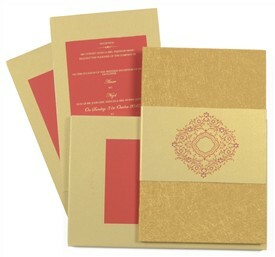 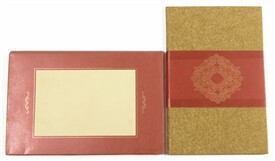 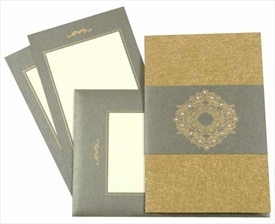 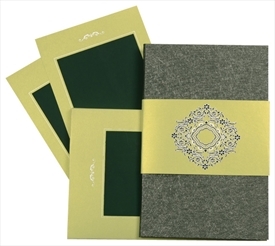 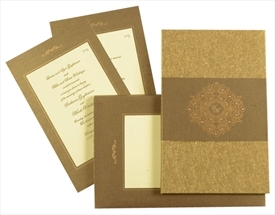 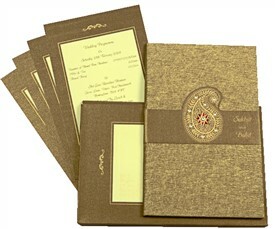 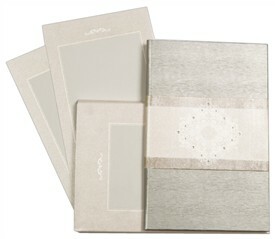 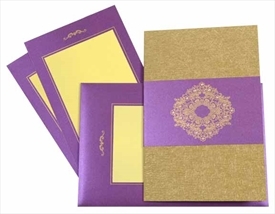 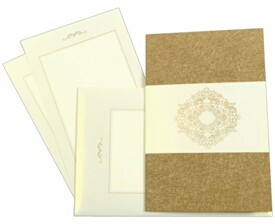 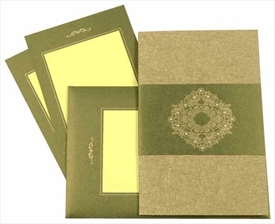 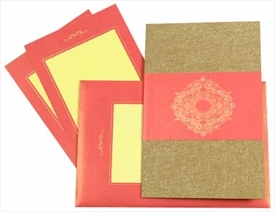 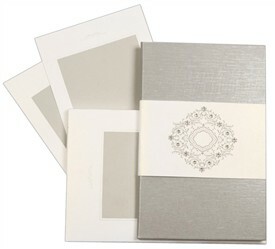 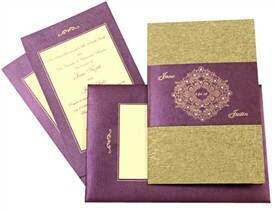 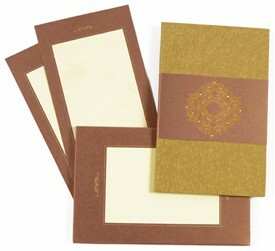 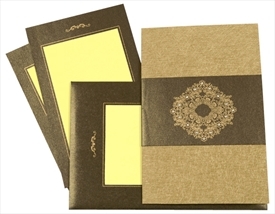 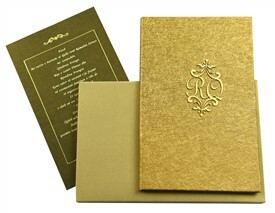 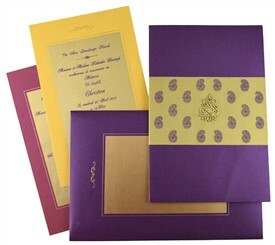 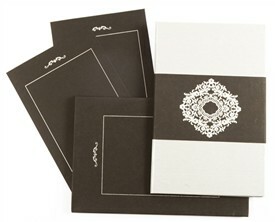 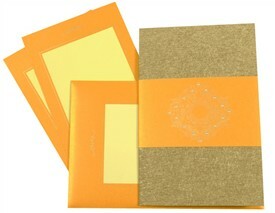 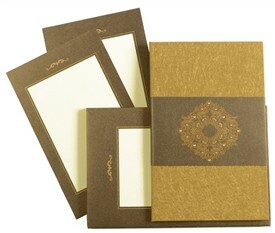 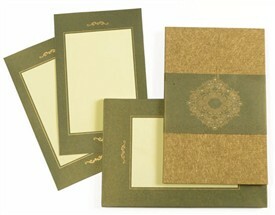 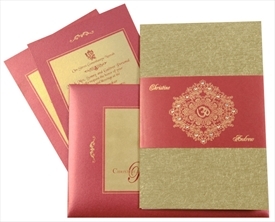 The card is hard bound in cardboard and is esthetically designed to give you a memorable invitation. 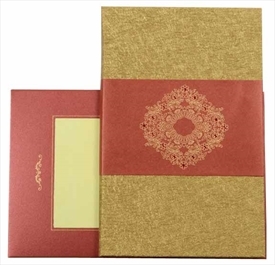 Intricate paisley work, paste-up on front with rhinestone work adds to the beauty. 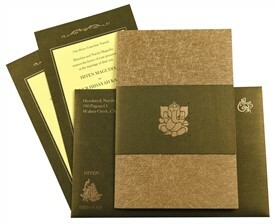 The inside is all printed with paisley design all over. 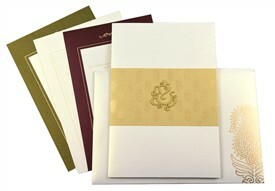 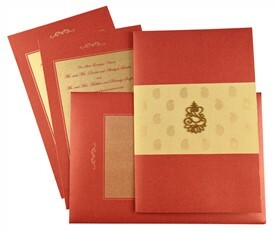 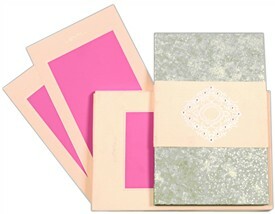 The inserts and envelope have 2 color design printed. Blue color shimmery finish card stock (250gsm) for interleaf, pocket, 2 inserts and mailing box envelope. 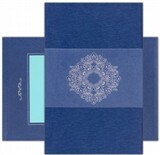 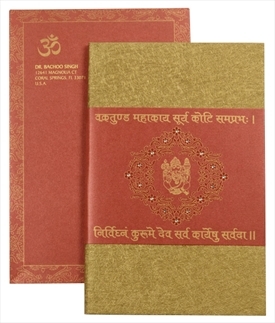 Main card is hardbound with Blue color self textured designer fabric. 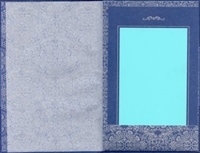 Tracing paper overlay on inside right side of card.